Life has never been easy for Antonio, but since the war began there are German soldiers on every corner, fearsome gangsters and the fascist police everywhere, and no one ever has enough to eat. Drawing satirical pictures of Hitler and Mussolini wasn’t the smartest thing for Antonio to do. Because when he flees from his Nazi accuser, Antonio is faced with a choice: surrender – or leap from a high cliff to the sea below. It’s always exciting to see an author break out from expectations and succeed. 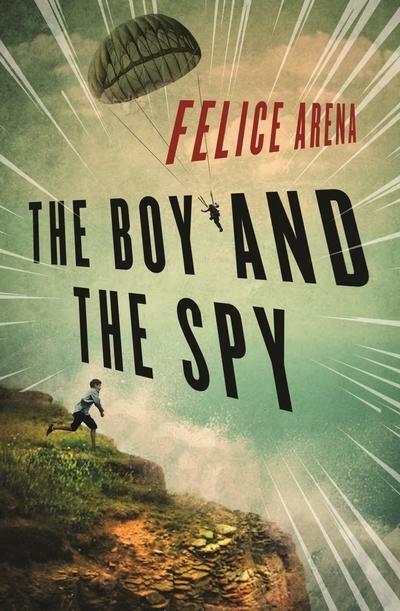 Author Felice Arena (Specky Magee, Sporty Kids) brings a restless energy to this stand-alone novel about an orphan boy’s fight to survive in Nazi-occupied Sicily. Having survived the plunge, our hero Antonio discovers an American spy hiding out in a sea cave, and sets about helping him unite with the local partisan network. While the story wears its history lightly, it’s strong on emotion and the challenges that Antonio is forced to confront. Courage, friendship and flashes of humour propel the drama to a moving conclusion. The Boy and the Spy is a thrilling page-turner for children 8+. Mike Shuttleworth works as a bookseller at Readings Hawthorn.